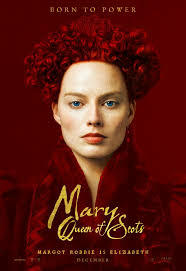 Have you seen the newly released blockbuster film Mary Queen of Scots? 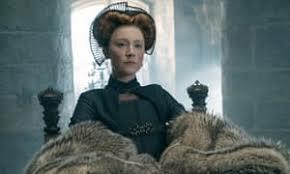 with the fantastic actresses Saoirse Ronan as Mary, Queen of Scots and Margo Robbie as Queen Elizabeth 1. It may not suit everyone’s taste, but maybe the younger generation may have to learn this sad story in some of their history lessons. Well Staffordshire and Derbyshire, just next door, played a big part in the making of the film. Hardwick Hall was one of the locations and our very own Staffordshire assistant editor of the film, is my niece, Katrina Annan. We are of course very proud of her for having such an important role in the editing of the film and we are sure you will agree, it is beautifully made. 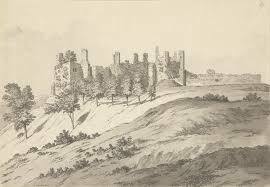 Staffordshire and Derbyshire were considered a safe central location to hold a captive queen and on 4th February 1569, Mary Queen of Scots arrived at Tutbury castle in Staffordshire, where she was imprisoned. In June 1569 she was moved to Wingfield Manor to avoid suspected rescue attempts, but was moved back to Tutbury later in the year. Following the suppression of the rebellion, Mary was moved back to Tutbury once again on January 2nd 1570, remaining there until May the same year. Mary was handed over to George Talbot 6th Earl of Shrewsbury and his Derbyshire born wife Elizabeth, known as Bess of Hardwick. They became her jailers for the next 15 years. George Talbot was chosen as keeper of Mary due to his immense wealth- few would have been able to afford the cost of keeping a queen for 15 years of Mary’s 19 year imprisonment. Mary was held at various locations in and around the Peak district and Derbyshire including Chatsworth, Wingfield Manor and the Old Hall Hotel in Buxton. 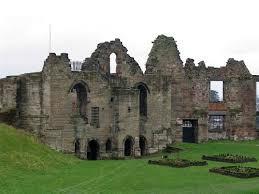 During her captivity, Mary was continually linked to escape plots and in June 1569, she was moved to Wingfield Manor near Alfreton to avoid suspect rescue attempts . Over the next 15 years, Mary was imprisoned at Wingfield manor 3 times. Now owned by English Heritage, Wingfield was a grand mansion, but Mary still complained of her ‘dank and dark’ accommodation. What was worse for poor Mary was the smell of conspiracy unearthed by Queen Elizabeth’s ‘spymaster’ Francis Walsingham, which eventually cost Queen Mary her head. One of the chief conspirators was young Anthony Babington of the nearby Derbyshire Hamlet of Dethick, page to the Earl of Shrewsbury, who became infatuated with Mary. Local legend claims that a walnut tree in the grounds of Wingfield Manor sprouted a seed left after Babington smeared his face with walnut juice to disguise himself as a gypsy when making his clandestine visits to Mary! George Talbot and Bess of Hardwick build the Old Hall Hotel (then called New Hall) in Buxton in 1572, and Mary petitioned Queen Elizabeth 1 to be taken there. Mary suffered from a possible bout of Rheumatism and Buxton’s thermal spa waters were believed to have healing properties. In 1573 her request was granted and Mary Queen of Scots visited The Old Hall Hotel in Buxton most summers. Although a 9pm curfew was placed on Mary and she had to give one hour’s notice should she wish to leave her apartments, evidence suggests she enjoyed her time there. George Talbot hosted lavish banquets and gave Mary gifts from his estates; apparently Elizabeth 1 was rather annoyed about this! 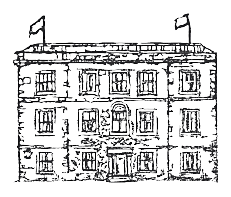 The hotel became a regular venue for the highest Nobility in the land and the centre for alleged traitorous planning against the Crown of England. It was said that the future of England was determined more at Old Hall Hotel in Buxton than in London. George Talbot’s wife, Elizabeth, now known as Bess of Hardwick was the second most powerful woman in England during her time, and also one of the richest. 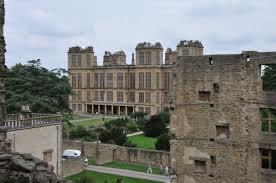 Bess built the first house on Chatsworth Estate, later constructed Hardwick Hall ‘more glass than wall’ and also designed her own memorial in Derby Cathedral where she was buried. 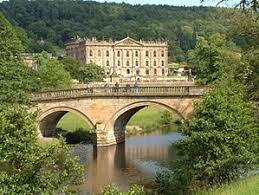 The couple deemed Chatsworth a suitable place to imprison Mary and she was imprisoned there at various times through the 1570’s. Her lodgings were on the east of the house where the rooms, although changed beyond recognition, are still called the Queen of Scots Apartments. The hunting towers, now luxury accommodation, is just one of the buildings that remain from this time. Why not combine a visit to any of the castles mentioned whilst you are staying with us? Tutbury castle for example has many events throughout the year which are linked to Mary Queen of Scots and involve hands on whilst telling the story of Castle. It is only 20 minutes drive from Heywood Hall.